Many American cities are facing financial distress; some have yet to recover from the recession of 2008-2009, as foreclosures and depressed property values continue to erode property tax receipts and other revenues. Many of those cities also have substantial obligations for pensions and medical costs.1 As a result of the difficulty in restructuring benefit obligations out of court, many of which are protected by state law,2 some commentators suggested that municipal bankruptcies under Chapter 9 of the Bankruptcy Code might provide a means to achieve that goal.3 But in the recent bankruptcy of Detroit, Mich., it was financial creditors—and not employees and retirees—who were asked to bear the heaviest costs of restructuring. Detroit's pensions and benefits were largely protected. The result raises the issue of whether Detroit's restructuring is a long-term solution that will become a future model or a short-term fix with an uncertain shelf life. But Detroit's financial problems are not unique. Such diverse cities as Boston, Chicago, Los Angeles, Philadelphia and San Francisco also have substantially underfunded municipal pension plans. Many cities have pension plans that are 20-30 percent underfunded, and a recent study estimated that cities have funded only 6 percent of their estimated retiree health care obligations.6 Detroit may have exhausted its financial resources sooner than other cities, but its problems cannot be dismissed as isolated. The lesson of Detroit is that it is difficult to achieve reductions of pensions and health benefits, even in Chapter 9. When Detroit filed its case, its unions and retirees challenged Detroit's eligibility as a debtor,14contending that Detroit's goal of reducing pensions was improper because they were protected by the Michigan Constitution.15 They argued that the bankruptcy court lacked authority to modify Detroit's pension obligations, and a filing aimed at that end was improper. In December 2013, the bankruptcy court ruled that Detroit was eligible for bankruptcy relief,16 and held that pensions in Michigan were contractual and subject to adjustment.17 At that time Detroit had not yet filed its Plan, so the court could have avoided ruling on that issue. But the ruling was a clear signal that pensions could be restructured. Although Detroit's restructured its secured obligations, such as its water and sewer system bonds, those restructurings generally provide for payment in full.26 However, holders of Detroit's general obligation bonds and pension-linked "certificates of participation" took sharp losses. The holders of unlimited tax general obligations bonds are recovering 74 percent of the $388 million owed to them,27 while holders of limited tax general obligation bonds are recovering 34 percent of the $164 million owed to them.28 But all of these bond issues were supported by bond insurance, so they were the real losers. Detroit's unlimited tax general obligation bonds were backed by a pledge of the city's ad valorem tax receipts and the city's full faith and credit. Based on that pledge, the bondholders argued that they were secured. Detroit countered that the bondholders had no lien on those revenues and were unsecured. In its initial plan, Detroit proposed to pay those bondholders just 20 cents on the dollar. Rhodes directed Detroit to mediate with its bondholders.29 Although the mediation did not succeed initially, by April 2014, Detroit had settled with the holders of unlimited tax general obligation bonds; by September it reached agreement with the holders of limited-tax general obligation bonds. In 2005, Detroit was in arrears on contributions to its pension plan and beneficiaries had brought suit to compel the payments. At that time, Detroit could not directly issue municipal bonds because it had exhausted its statutory debt capacity. To evade that limitation, Detroit created two special-purpose entities, which issued approximately $1.5 billion of the debt instruments, called certificates of participation (the Certificates). The proceeds of the issuances were paid to Detroit, which used the cash to fund its pensions and make debt service payments on the Certificates. Because some of the Certificates had floating interest rates, the issuers also entered into interest rate swaps. Due to Detroit's finances, however, investors were unwilling to buy the Certificates, and the banks were unwilling to issue the swaps, without insurance. Of the $1.5 billion in Certificates, Syncora Guaranty insured approximately $400 million and Detroit's swap obligations, and Financial Guaranty Insurance Corp. (FGIC) insured approximately $1.1 billion of the Certificates. Detroit defaulted under the swaps in 2009, so the swap counterparties gained additional collateral in the form of a pledge of casino tax revenues, which were swept into a lockbox. The lockbox revenues were first applied to the swaps and the Certificates, and the remaining funds were paid to Detroit. In June 2013 Syncora asserted that an event of default had occurred, and directed the lockbox bank not to release those revenues to Detroit. Detroit then obtained a temporary restraining order requiring the bank to release the funds. That litigation was pending when Detroit filed for bankruptcy. In Chapter 9, Detroit sought to void the Certificates, arguing that they were sham transactions structured to evade Detroit's exhausted capacity to issue municipal debt. The litigation over the Certificates was also referred to mediation and Detroit eventually settled with both Syncora and FGIC for 13.9 percent of their claims, although each creditor also obtained the right to develop various parcels of real property in Detroit. Detroit estimated that its Plan reduced its overall debts by approximately $7 billion, much of which came directly at the expense of financial creditors. The lesson was perhaps most painful for holders of Detroit's general obligation bonds, because the experience of market participants had been that the non-payment risk was very small.30 After Detroit's Plan had been confirmed, Richard Ciccarone, a municipal debt analyst, said: "Hopefully this will educate not only investors, but also political leaders. You can't treat municipal debt as a risk-free investment. "31 The ruling in Detroit's bankruptcy that pensions in Michigan were contractual gave the city the legal tools to seek substantial reductions in its pensions and health benefits. The results were more modest, and suggest that in municipal bankruptcies, when the interests of financial creditors clash with workers and retirees, protection of pensions will continue to receive priority. And given the risk of future financial distress in Detroit, it remains to be seen whether the city has solved its problems or merely postponed a more painful reckoning. 1. Pew Charitable Trusts, "A Widening Gap in the Cities" (hereinafter "A Widening Gap"), Jan. 16, 2013, available at http://www.pewtrusts.org/en/research-and-analysis/reports/0001/01/01/a-widening-gap-in-cities (accessed Oct. 24, 2014). 2. Alice H. Munnell and Laura Quinby, "Legal Constraints on Changes in State and Local Pensions," Center for Retirement Research at Boston College, available at http://crr.bc.edu/wp-content/uploads/2012/08/slp_25.pdf (accessed Oct. 25, 2014). 3. See, e.g., David A. Skeel Jr., "Is Bankruptcy the Answer for Troubled Cities and States?," 50 Houston L. Rev. 101 (2013); Richard M. Hynes and Steven D. Walt, "Pensions and Property Rights in Municipal Bankruptcy," 33 Rev. Bank. & Fin. Law 611 (2013-2014). 4. Declaration of Kevyn D. Orr (hereinafter "Orr Declaration") in Support of City of Detroit, Michigan's Statement of Qualifications Pursuant to Section 109(c) of the Bankruptcy Code, case 13-53846, Bankr. E.D. Mich., Docket 11, (subsequent references to pleadings will be cited as Docket __). 5. Michigan Public Act 436 of 2012, the Local Financial Stability and Choice Act, MCL §141.1541 et seq. ("PA 436"). 6. "A Widening Gap," supra note 1. 7. Attached as Exhibit A to the Orr Declaration was a proposal (the "Creditor Proposal") that Detroit circulated to creditors in June 2013. The details of Detroit's funded debt are at page 109 of the Creditor Proposal. 8. Although Detroit's financial statements showed a far smaller liability for pension and health benefits, Detroit said the actual liabilities were far higher. Creditor Proposal at 23. 9. Notice of Filing of Revised Proposed Order Confirming Eighth Amended Plan for the Adjustment of the Debts of the City of Detroit (Docket 8249). 10. Order to Certain Parties to Appear for Continued Mediation on Sept. 11, 2014, Docket 7395. 11. Skeel, "Is Bankruptcy the Answer for Troubled Cities and States?," supra note 3, at 102. 12. Expert Report of Martha E.M. Kopacz Regarding the Feasibility of the City of Detroit Plan of Adjustment, Docket 6993; Robert Snell, "Expert: Detroit Officials Must Embrace Debt Plan," Det. News, Oct. 22, 2014, available at http://www.detroitnews.com/story/news/local/wayne-county/2014/10/22/detroit-bankruptcy-trial/17706507/ (accessed Nov. 11, 2014). 13. Mary Williams Walsh, "Detroit Emerges From Bankruptcy, Yet Pension Risks Linger," N.Y. Times, Nov. 11, 2014, available at http://dealbook.nytimes.com/2014/11/11/detroit-emerges-from-bankruptcy-pension-risk-still-intact/?_r=0 (accessed Nov. 13, 2014). 14. In a municipal bankruptcy the debtor must establish its eligibility under §109(c) of the Bankruptcy Code. 15. Michigan Constitution, Article IX, §24. 16. In re City of Detroit, Mich., 504 B.R. 97 (Bankr. E.D. Mich. 2013). 18. Creditor Proposal at 109. 19. Fourth Amended Disclosure Statement With Respect to Fourth Amended Plan for the Adjustment of Debts of the City of Detroit (hereinafter the "Disclosure Statement"), Docket 4391, at 158. 20. Nathan Bomey, "Judge Rhodes Questions Orr: 'Why Not Monetize the Art?'" Detroit Free Press, Oct. 3, 2014, available athttp://www.freep.com/story/news/local/michigan/detroit/2014/10/03/detroit-bankruptcy-dia/16638995/ (accessed Oct. 23, 2014). 21. To protect the sovereignty of municipal debtors §904 of the Bankruptcy Code provides that the bankruptcy court has no authority to "interfere with … any property of the debtor." 22. Disclosure Statement, supra note 19, at 157. 23. In 1919, the Institute transferred ownership of the art and its building to Detroit in exchange for annual funding. However, many of the works donated to the Institute were given under gift deeds specifying that the artworks had to remain owned by Detroit for the benefit of its citizens. See Brent Snavely and Matt Helms, "Orr Says Settlement With DIA Averted Costly Legal Fight," Detroit Free Press, Oct. 2, 2014, available at http://www.freep.com/story/news/local/detroit-bankruptcy/2014/10/02/bankruptcy-preview-day/16562469/ (accessed Oct. 28, 2014). 24. Disclosure Statement, supra note 19, at 65-67. 25. Kathleen Gray, "Michigan Senate Oks Historic $195M Detroit Aid Package; Snyder's Signature Next," Detroit Free Press, June 4, 2014, available athttp://archive.freep.com/article/20140603/NEWS06/306030043/Detroit-bankruptcy-pensions-artwork (accessed Nov. 4, 2014). 26. Disclosure Statement, supra note 19, at 62-64. 27. Eighth Amended Plan for the Adjustment of Debts of the City of Detroit, Docket 8045, at 55. 29. The Bond Buyer, "Detroit Meditator Orders City to Meet With Bondholders," Dec. 31, 2013, available at http://www.bondbuyer.com/issues/123_1/detroit-meditator-orders-city-to-meet-with-bondholders-1058615-1.html (accessed Oct. 23, 2014). 30. Securities and Exchange Commission, Report on Municipal Securities Market, July 31, 2012, avalailable at http://www.sec.gov/news/studies/2012/munireport073112.pdf (accessed Oct. 28, 2014), at 24-26. 31. "Detroit Bankruptcy Teaches Muni Bond Investors Painful Lessons," Bloomberg News, Nov. 7, 2014, available at http://www.crainsdetroit.com/article/20141107/NEWS01/141109896/detroit-bankruptcy-teaches-muni-bond-investors-painful-lessons (accessed Nov. 12, 2014). 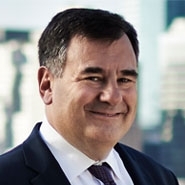 Stephen B. Selbst is a partner at Herrick, Feinstein, where he is chair of the bankruptcy and restructuring group. Reprinted with permission from the December 8, 2014 edition of the New York Law Journal © 2011 ALM Media Properties, LLC. All rights reserved. Further duplication without permission is prohibited. For information, contact 877-257-3382 - [email protected] or visit www.almreprints.com.